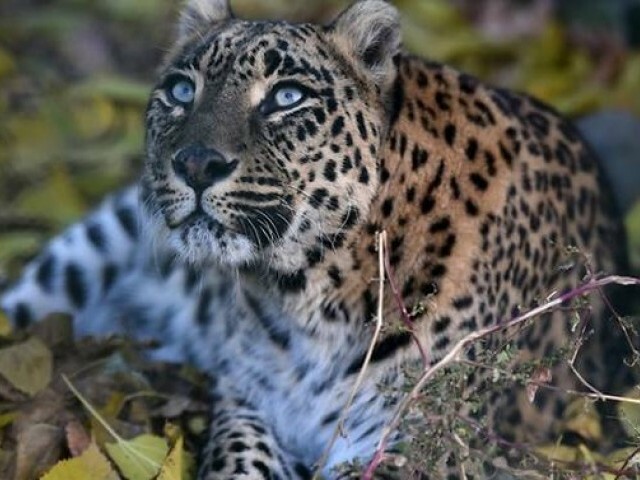 ISLAMABAD: Residents of Shahdara Village are living in a state of constant fear as a leopard has killed several domestic animals in the area over the past few months. Residents say they have restricted their movement in the early and late hours of the day, as more than two dozen goats and nearly half-a-dozen cows and calves have been killed by the wandering leopard. “My cow was killed by the leopard just 200 metres from my house. It happened a few weeks ago and villagers have seen the leopard moving about in our area with a pair of cubs,” said Zakir Hussain, a local. Another resident, Saghir Hussain, said villagers believe there may be more than one leopard on the prowl in the nearby forest. Last week, a group of villagers armed with guns and axes chased a leopard but the animal disappeared in the forest. “Thankfully, there has been no attack on a human yet. However, we are now living in a constant state of fear; we are particularly afraid that a leopard may attack our children,” said a villager, Zaheer Shah. According to Sakhawat Hussain, an official of the Islamabad Wildlife Management Board, there are two families of leopards – with five to six members – living in Margalla Hills National Park, located near Shahdara Village. Citing the example of Khyber-Pakhtunkhwa, he said the provincial wildlife department had set up a community-led fund to compensate victims of leopard attacks. “A person in Ayubia was compensated for a leopard attack. There is a need to set up a similar fund here. The compensation will help protect rare and exotic wildlife and will also be used to raise awareness among people. Otherwise, we fear that citizens will be inclined to kill leopards, which are already endangered in Pakistan,” said Hussain.